The reality of the current economy manifests in ways such as reduced funding for public and nonprofit agencies, hiring freezes and other challenges that require these agencies to be collaborative and flexible. Consequently, agencies work with one another, often on project teams that may only include one person from any given organization. Revisions must be made to the traditional performance evaluation structure in order to provide meaningful performance evaluation to public and nonprofit employees that benefit both the employee and the organization. It is difficult for a supervisor to have a full view of an employee’s performance from an objective viewpoint, often relying on the employee to self-report successful and unsuccessful encounters. Employees are generally unlikely to be entirely forthcoming in self-evaluations as evaluations are often linked to raises, promotions and future career growth. Because of these and other challenges, employees often find their evaluations to be a meaningless but required exercise each year without providing value to the supervisor, the employee or the agency. In her 2013 book, Joan Pynes describes the various reasons for dissatisfaction with performance evaluation systems, including a lack of training for raters, lack of accountability for accuracy and quality of ratings, rater bias and myriad other justifications. 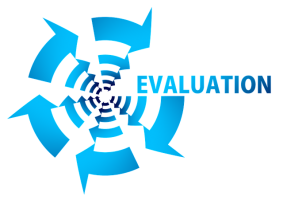 Beyond the efficacy of traditional evaluations, the construct of these evaluations does not generally align with the collaborative nature of agencies and nonprofits. Traditional evaluations rely on the rater’s ability to observe directly the performance of the individual they are evaluating. In settings where much of the work is done outside the agency walls, it is impossible for a supervisor to provide adequate evaluation on their own without additional information. How can we make this process more meaningful? According to a 2008 Dalehite study, nearly half of the cities and counties in the United States are performing citizen satisfaction surveys. These surveys, while not to be used as a sole source of information regarding citizen satisfaction, can provide valuable information about how services are being provided on the ground by public and nonprofit agencies. A partner satisfaction survey, similar to a citizen satisfaction survey, could provide additional information about the performance of individual employees and the perception of the agency as a whole to external partners. By receiving external feedback from partners who might make up the balance of a project team or be more consistent fixtures for ongoing projects with the agency or nonprofit, supervisors would be better able to determine if employees are representing the agency well and participating fully in external or collaborative teams. The key is creating an environment that allows for periodic assessment of skills developed or maintained via training and increases employee aptitude without the stress and negative consequences of the annual evaluation structure of traditional performance evaluation. This allows a supervisor to provide meaningful feedback to employee on a rolling basis rather than waiting for an annual evaluation. The schedules and topics of the trainings need not be identical for employees in the same department or job function, but would be agreed upon between the employee and supervisor to maximize their effectiveness and best address weakness. By requesting feedback from partner agencies through a survey, supervisors and the agency itself can potentially receive more useful and holistic feedback on employee performance and external agency perception. This additional feedback from external partners may also help the agency better align itself with the needs of the community or partner organizations. By moving to a year-round, education and training-based approach to human resource management, employee weakness and opportunities for increasing capacity can be identified on a continuous basis. This will allow for the agency to make the best use of existing human capital and provide for more individualized approaches with employees based on unique skillsets. There are potential issues that warrant further research. For example, if the feedback from the partner surveys proves to be nonspecific or partners are not responding, there needs to be a backup plan in place to continue with performance evaluation. There may be legal concerns in having a less-standard method of performance evaluation for the purposes of potential litigation brought on by aggrieved employees or former employees. There may also be privacy concerns if an external agency partner provides information in the survey that was shared privately but requires legal action by the employee’s agency. By combining these recommendations with other methods of performance evaluation, the outcomes may be more positive for the employee, the supervisor and the agency as a whole. Author: Amanda Graor is a current MPA student at the University of Kansas. She is also the air quality program manager at the Mid-America Regional Council in Kansas City, Missouri, managing regional policy, education and outreach on air quality, ridesharing and other environmental and transportation issues.